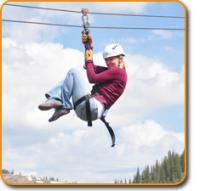 Fly on five separate ziplines ranging from 400 to 800 feet long at 10,000 and 11,500 feet above sea level. You'll whiz pass towering pine trees with spectacular views. The latest braking technology allows you to zip without using your hands to stop yourself - so you can just enjoy the ride! 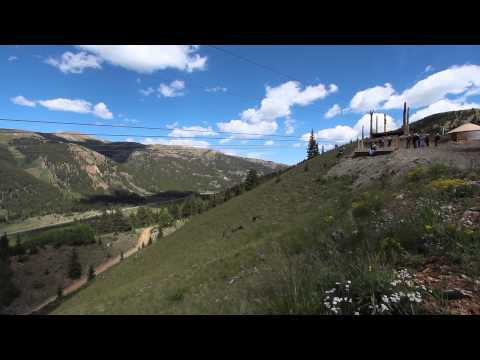 This zipline high in the snow-capped Rocky Mountains is surrounded by clouds and majestic pine forests. Located close to Vail and Breckenridge near Leadville, Colorado, this 2 hour tour is great for all skill levels and kids 55+ lbs. Available year-round!